Across the globe, fans of the ever-popular Miss Fisher’s Murder Mysteries are waiting with bated breath for Miss Fisher & the Crypt of Tears, the feature film that will return the Honourable Phryne Fisher to the screen later this year. In the meantime, stateside fans have a shorter wait for the hit series’ new spin-off — Ms Fisher’s Modern Murder Mysteries, which has been a ratings hit in its native Australia. This Acorn TV Original premieres in the US on Monday, April 29, exclusively on Acorn TV. 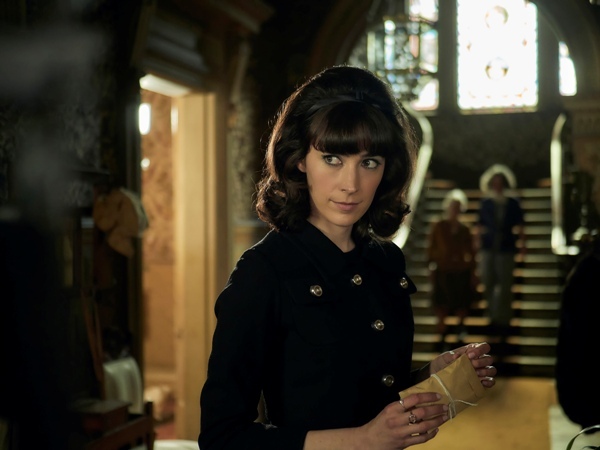 Set in 1960s Melbourne, Ms Fisher’s Modern Murder Mysteries stars Geraldine Hakewill (Wanted) as Phryne Fisher’s niece, Peregrine Fisher. When the famous aunt she never knew goes missing over the highlands of New Guinea, Peregrine Fisher inherits a windfall. She also sets out to become a world-class private detective in her own right, with the unerring guidance of The Adventuresses’ Club, a group of exceptional women of which her celebrated aunt was a member. A natural rule-breaker, Peregrine is fearless, fun, and charmingly down-to-earth, and has a keen instinct for solving crimes. With her newfound wealth and the Adventuresses to hone her rough edges and become the family she’s never had, Peregrine is unstoppable. The four-episode series co-stars Joel Jackson (Safe Harbour) as smart, ambitious cop Detective James Steed, and Catherine McClements (Sisters) as Birdie Birnside, an ex-member of WW2 Special Forces and head of The Adventuresses. Also featuring in the show are James Mason (Neighbours), Toby Truslove (Utopia), Louisa Mignone (Secret City), Greg Stone (Glitch), and Katie Robinson (Rosehaven). So mark your calendars for Monday, April 29, for the US premiere of Ms Fisher’s Modern Murder Mysteries!